Well run site in the grounds of a youth hostel with views of distant Lake Winderemere. Recently recognised in its entirety as a UNESCO World Heritage Site, the Lake District is perhaps the UK’s most treasured area of natural beauty. 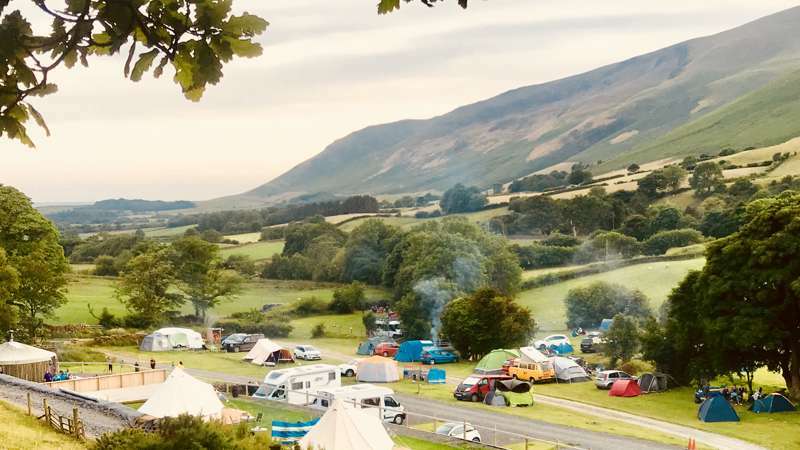 Glamping in the Lake District offers the chance to sleep and stay in one of Britain’s most treasured landscapes and, unlike staying in a hotel, glamping really allows you to immerse yourself in everything the Great Outdoors has to offer. 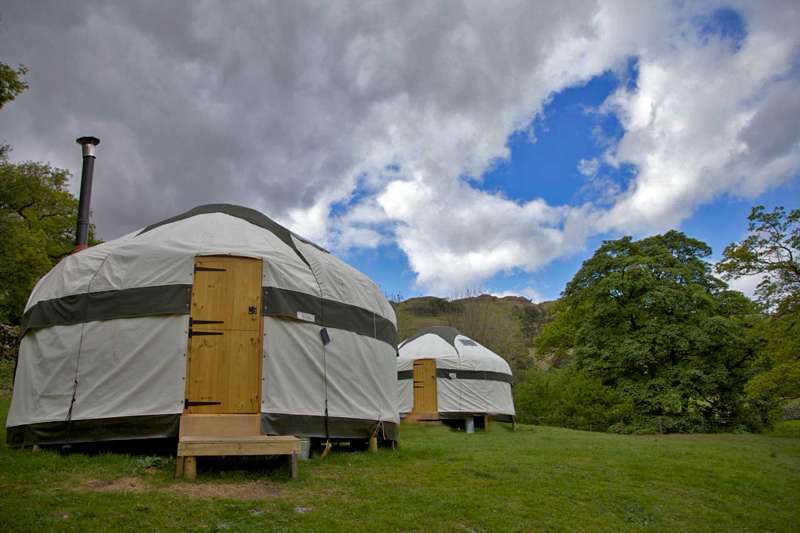 The Lake District is probably our favourite place to go glamping. By day you can romp across mountains, canoe on vast lakes, wild swim in crystal clear rivers or explore on of the national park’s bustling little towns and, by night, you can enjoy some of the starriest skies in the country, while kicking back around the campfire. And, when glamping, it’s all with the added luxury of a few extra outdoor comforts. Bliss. Building restrictions are often tight in this rightfully restricted area. 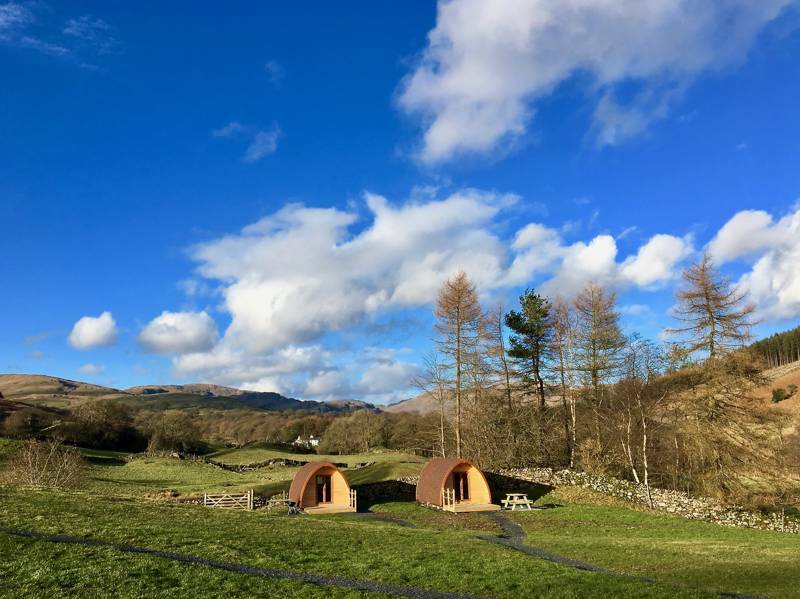 The focus in the Lake District is on preserving the natural beauty, so, when it comes to glamping, most sites are keen to adhere to the most eco-friendly policies and create an environment that is unobtrusive and environmentally friendly. 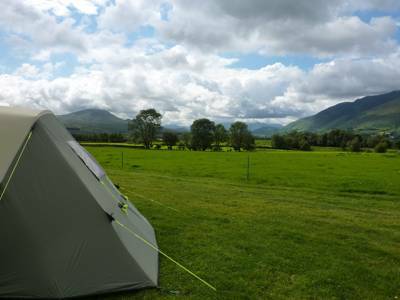 Bell tents are extremely popular – temporary, light and easy to move, they allow glamping sites to constantly rotate the space and look after the grass on which they're pitched – while more sturdy structures like pods are also extremely popular in the colder winter months. 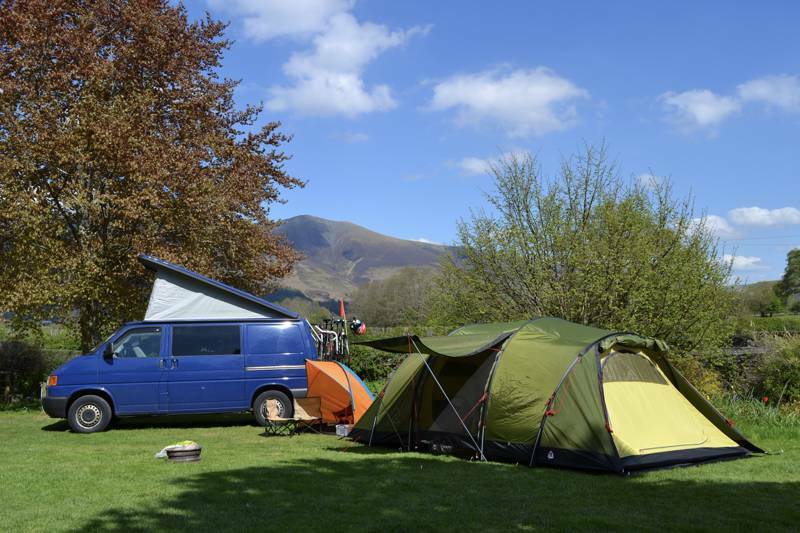 Really, though, there is no set pattern to glamping accommodation in the Lake District. We’ve found family-sized yurts, tall tipis, multi-room safari tents and even hidden hobbit holes, along with horse-drawn roving gypsy caravans that tour across the national park. Shepherd’s huts, too, are a popular choice. 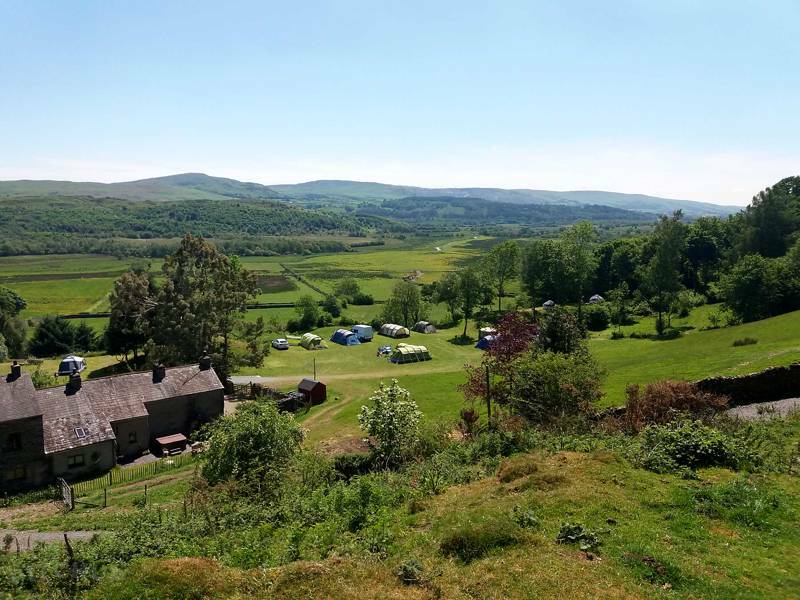 With cosy interiors and wood-burning stoves, they offer excellent year-round accommodation, while their great heritage and connection with the sheep farming of the Cumbrian region gives them a real affinity with their surroundings. 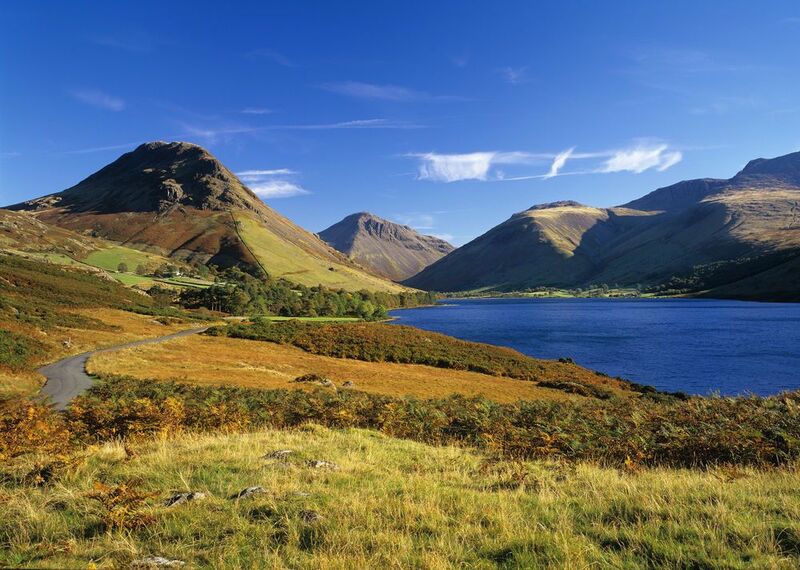 The Lake District, famous for its lakes, forest and mountains, is located entirely within the county of Cumbria and is home to every one of England’s mountains above 3000-feet in height, as well as the nation's longest and deepest bodies of water. In short, for fans of the outdoors, it is a paradise. Covering an area of approximately 900 square miles, it was first designated as a national park in 1951 and, in 2017, also became a recognised UNESCO World Heritage Site. While canoeing, sailing, hiking, rock climbing and swimming are all popular and make the outdoor environment the obvious draw, the Lake District also offers a mellow pace to life and outstanding scenery that offers inspiration for both art and literature alike. The national park will forever be associated with the early 19th century writings of William Wordsworth, Beatrix Potter and John Ruskin, with museums and monuments across the landscape that pay homage to them and many others besides. The Romans left early traces, including the mountainside remains of Hardknott Fort, but it was the Vikings who made a real mark in the Lake District, with many lakeland place names – thwaite, tarn, fell, beck and so on – having a Norse origin. The region was a wild, desolate land for centuries. Few outsiders ventured into the ancient counties of Cumberland and Westmorland and not until the 18th century did writers and artists in particular discover the natural grandeur of the Lakes, later made popular by Turner, Gainsborough, Wordsworth, Coleridge and others. The national park was established in 1951, one of the first in the country, and sits within the wider county of Cumbria. – Climb England's highest mountain, Scafell Pike. – Take a steam boat ride across Ullswater. – Ride out to the coast on the Ravenglass and Eskdale Heritage Railway. – Join Peter Rabbit in the undergrowth at the World of Beatrix Potter. – Visit old slate mines at Honister Pass. 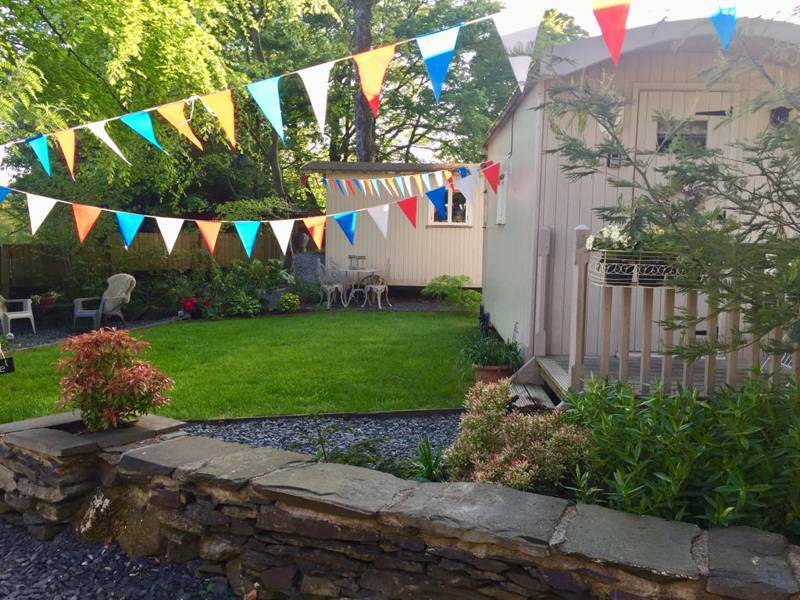 Glamping sites in the Lake District at Glamping in the Lake District, Lakes, mountains, rivers and pretty, rural villages – the Lake District is an idyllic destination and we know all the best glamping sites in the area. Discover the best places to stay now.